Health meets taste with our Roasted Mix Herbs Sticks. They are generously sprinkled with mixed herbs, which lend them a unique essence and flavour. You can dip these sticks into one or multiple dips of your choice to further enhance their taste. These munchies will also be loved by your kids! Roasted Mix Herbs Sticks	BK-ST-1186 Health meets taste with our Roasted Mix Herbs Sticks. They are generously sprinkled with mixed herbs, which lend them a unique essence and flavour. 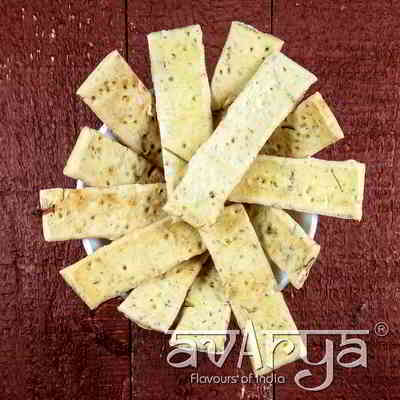 You can dip these sticks into one or multiple dips of your choice to further enhance their taste. These munchies will also be loved by your kids! The shelf life of Roasted Mix Herbs Sticks is 60 days. This product is not suitable for Jains.